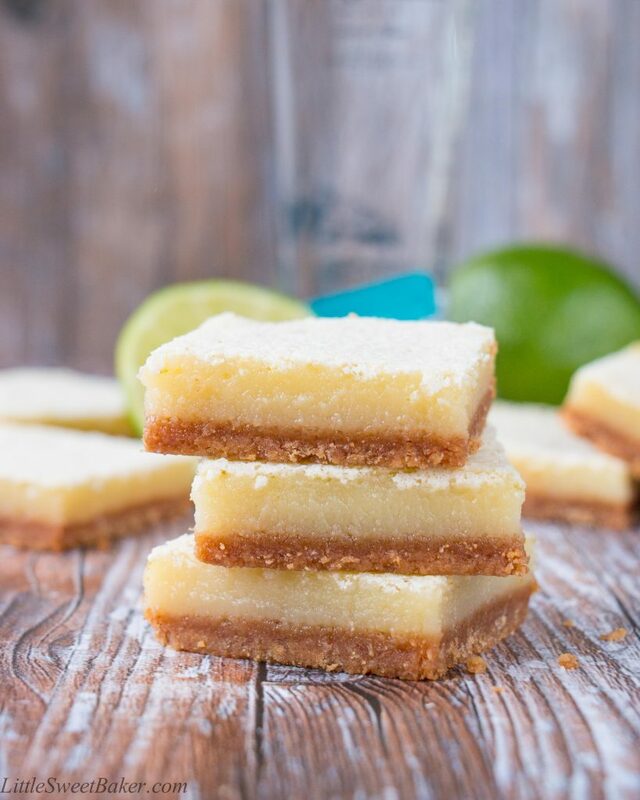 These zesty and sweet lime bars are to die for. 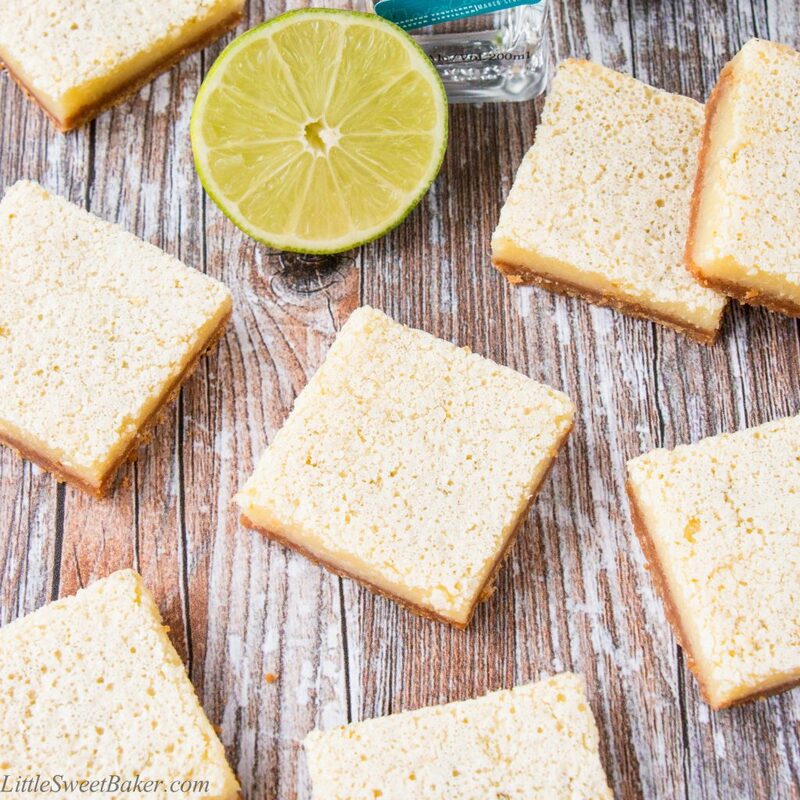 They are bursting with a tangy lime taste and pack a punch of tequila flavor. As we get ready for Cinco de Mayo, I’ve got margaritas on my mind. I mean, what’s not to like about an iced cold refreshing boozy drink. It’s a great way to celebrate any fiesta. So I decided to make a dessert version out of one of my favorite cocktails. This recipe starts with a pre-baked honey graham cracker crust for a crispy base. 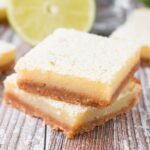 It’s topped with vibrant lime custard made with fresh lime juice and lime zest. Then to kick things up a notch, there are two ounces of tequila added for lots of flavor. The tequila is not there to play a supporting role. It’s there to play a leading role, just like the lime. So this is definitely an adult dessert. 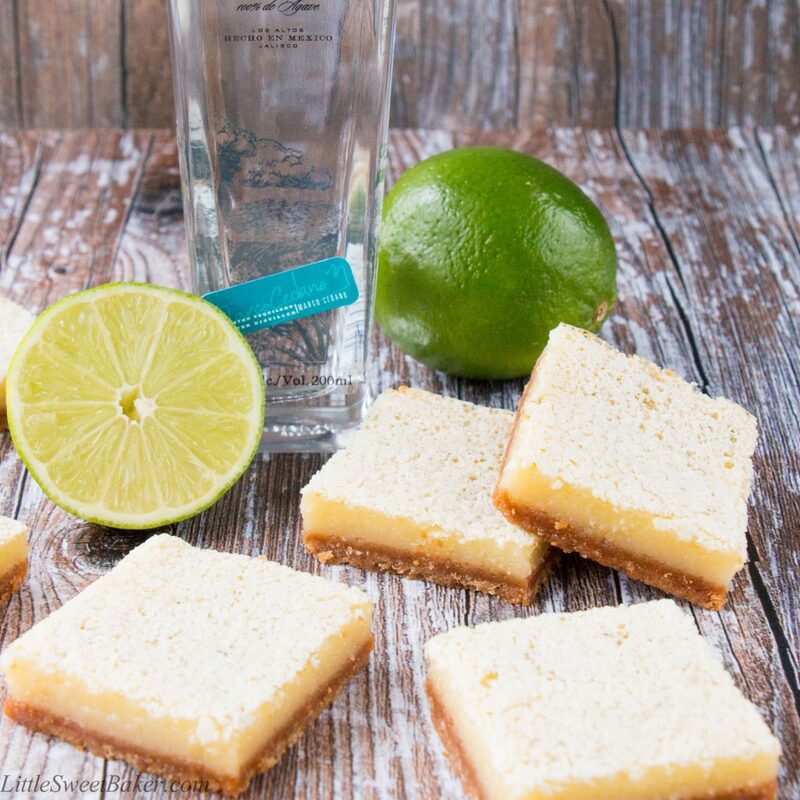 However, you do have the option to make this a non-alcoholic dessert by replacing the tequila with more lime juice and making them straight-up lime bars. 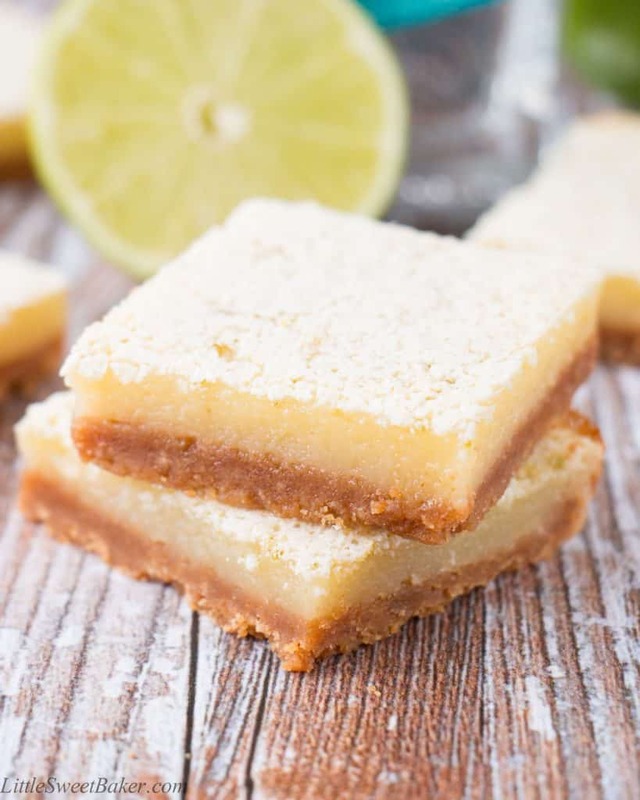 The texture of these margarita lime bars are soft and gooey with a crumbly cookie bottom. When you first take a bite, you’ll taste the lime and sweetness from the custard. Then the earthy and bitter notes from the tequila come through. There is a soft herbal and sweet black licorice aroma from the tequila that lingers on your palate. After a couple of bites you’ll feel like you drank a margarita. Preheat the oven to 350F. 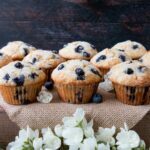 Butter and line a 9×9″ baking pan with parchment paper. In a small bowl, mix the honey graham cracker crumbs with the melted butter. Press onto the prepared baking pan. Bake for 10 minutes. Meanwhile, in a large bowl, whisk together the eggs, sugar, zest, lime juice and tequila. Slowly add in the flour while whisking quickly to prevent lumps. Pour over hot crust and bake for another 20-25 minutes or until the center is set. Let cool to room temperature and chill in the fridge for 2 hours. Dust with powdered sugar if needed. Slice and serve.